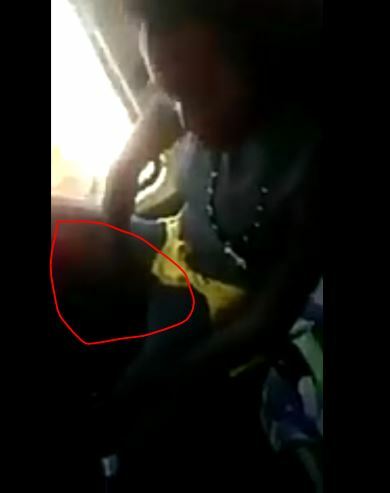 Part of the obscenities seen on social media today is a video of a female who out of reluctance to pay a bus conductor decided to rub the money on her v*gina. What led to her decision remains unknown as the video clip was very short but she could be seen jesting around in the moving vehicle with other passengers. It appears her odd action discouraged the bus conductor from obtaining the money from her. Some social media users have become critical of her action.